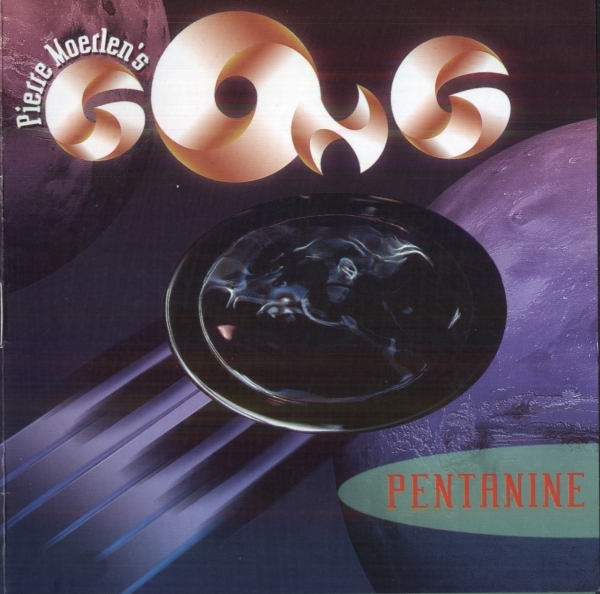 The late percussionist Pierre Moerlen’s last Gong lineup was this outstanding group of Russian musicians assembled for the SKIF festival in 2001; the group recorded these 13 tracks in a St. Petersburg studio in mid-2002, prepared them for release, and now finally finding release three years later. Kudos to Musea. Their sound is a mix of tuned-percussion driven progressive rock, fusion and light funk, peppered with occasional playful electronic soundscapes. Moerlen handles the drum kit duties, as well as xylophone, vibraphone and programming, while the other three musicians handle bass, guitar, and keyboards (the latter doubling on hand drums and percussion). While Moerlen’s previous versions of Gong have generally been strong, there were a few early-to-mid 80s incarnations that were fairly hit-or-miss. I’m pleased to report that Pentanine represents one of the stronger editions of the band; even if not quite up to the ferocity level of Expresso II or Downwind, there are plenty of fresh ideas circulating here and the high calibre of musicianship plays directly into Moerlen’s best compositional strengths, while still offering the group plenty of room to stretch out and improvise. The disc seems to be backloaded as well, getting stronger and more spirited as it goes. Those who enjoyed all of the late-70s P.M. Gong releases are sure to find plenty of interest in Pentanine.